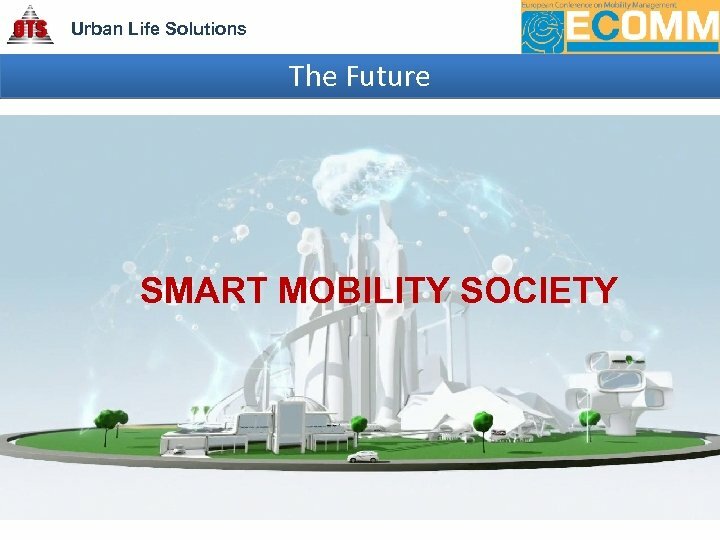 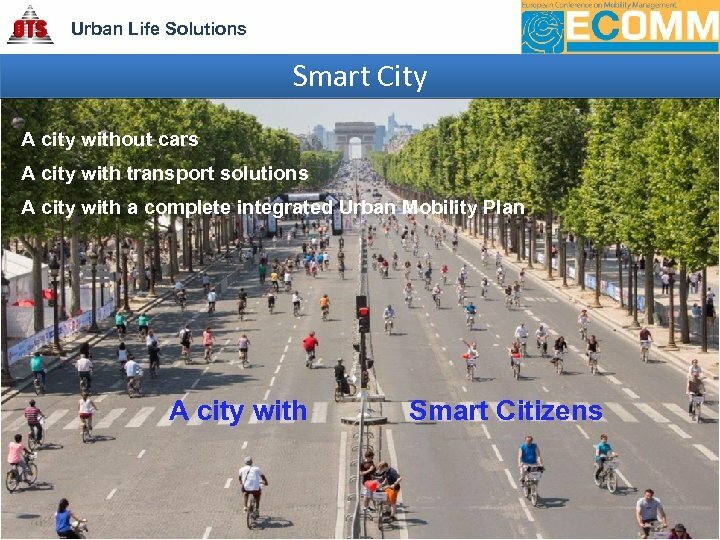 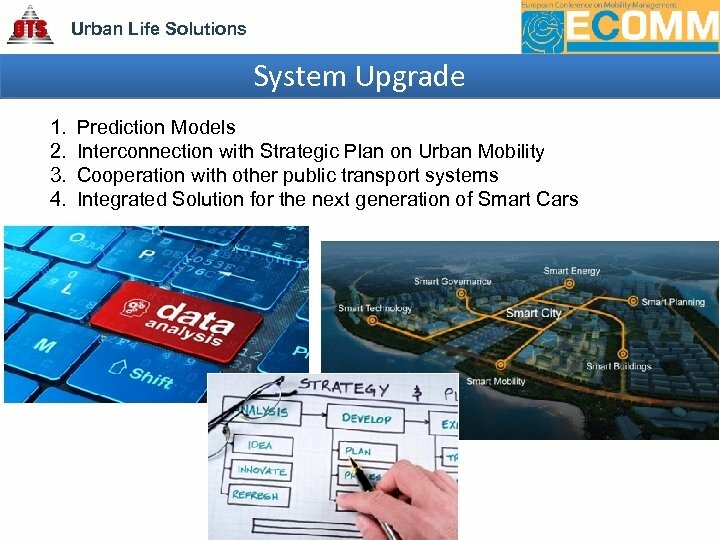 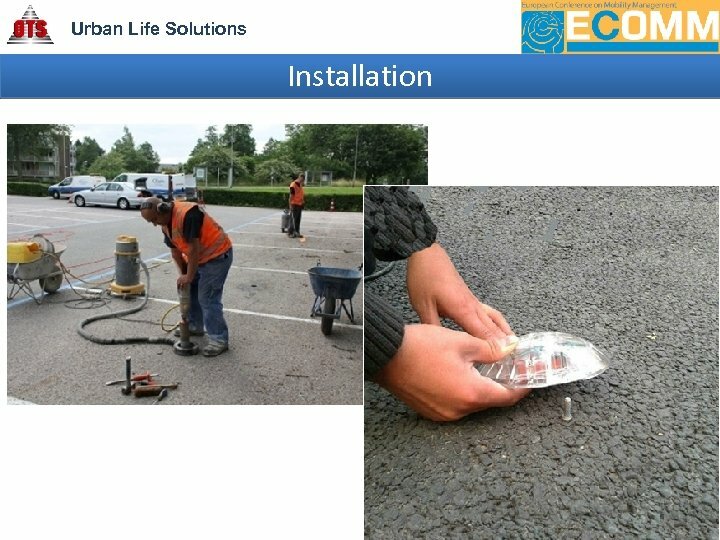 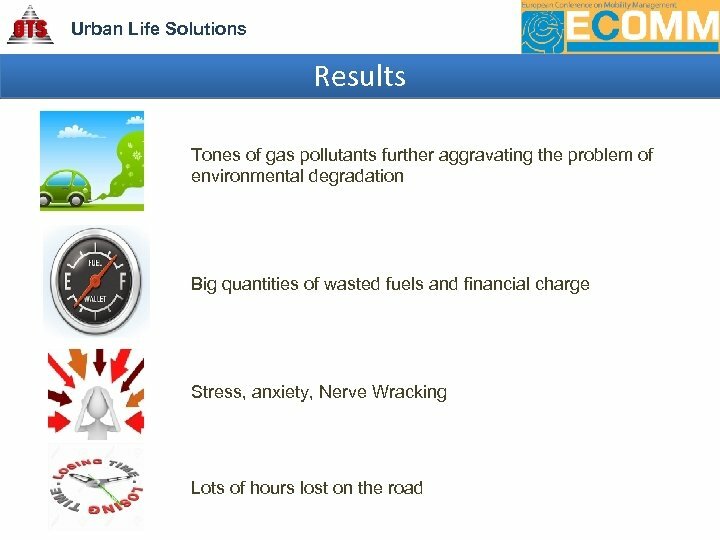 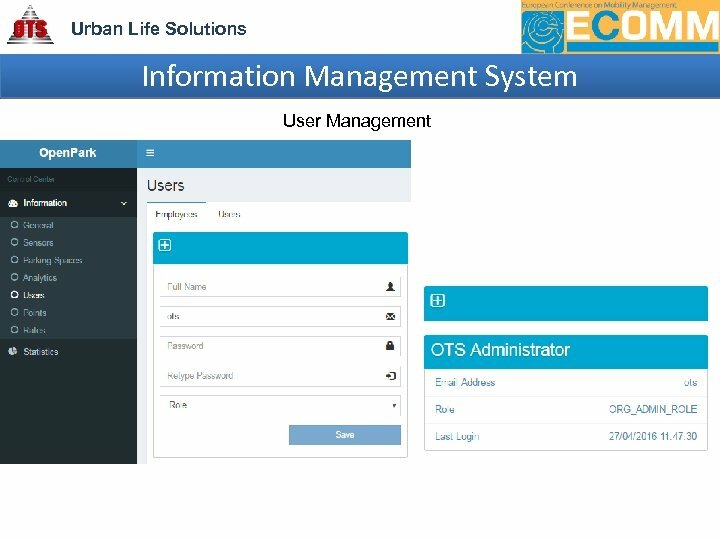 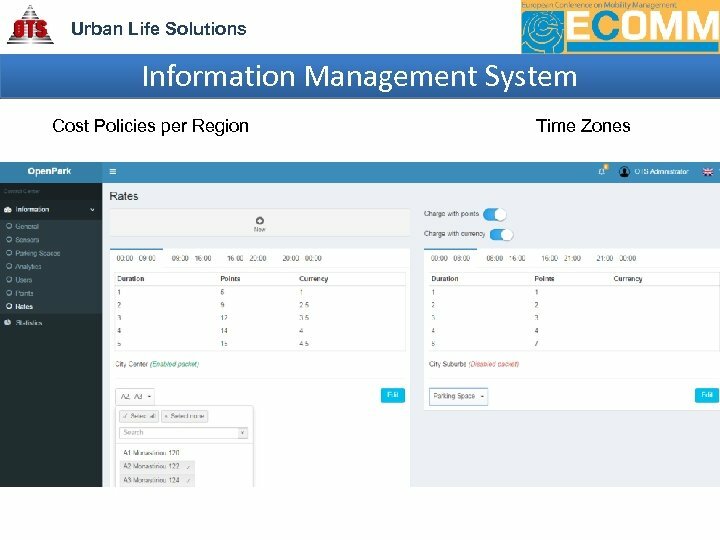 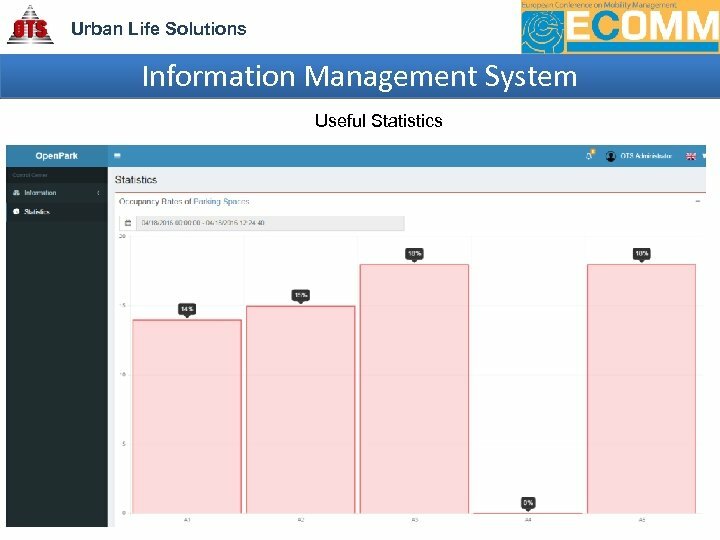 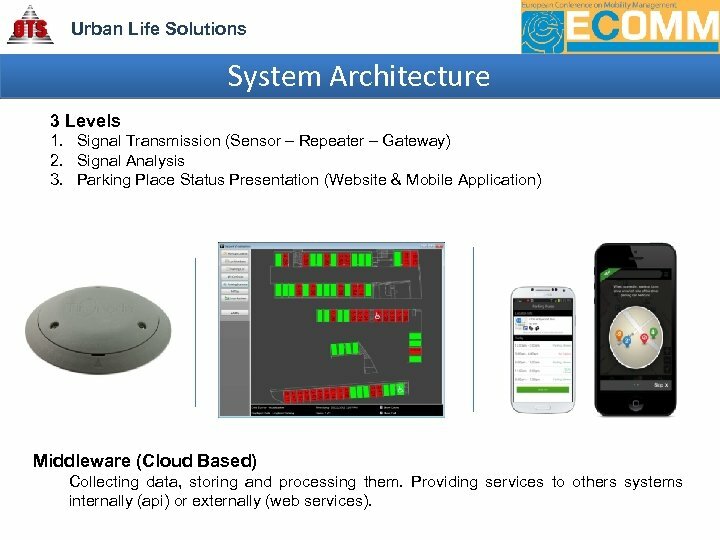 Urban Life Solutions System Architecture 3 Levels 1. 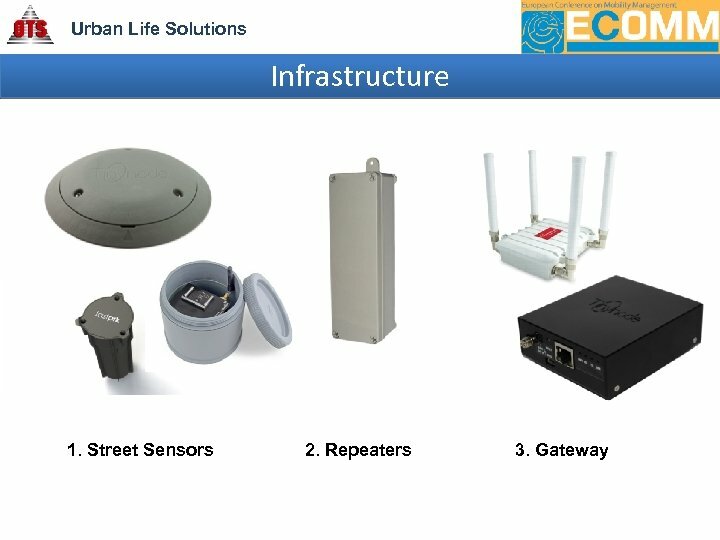 Signal Transmission (Sensor – Repeater – Gateway) 2. 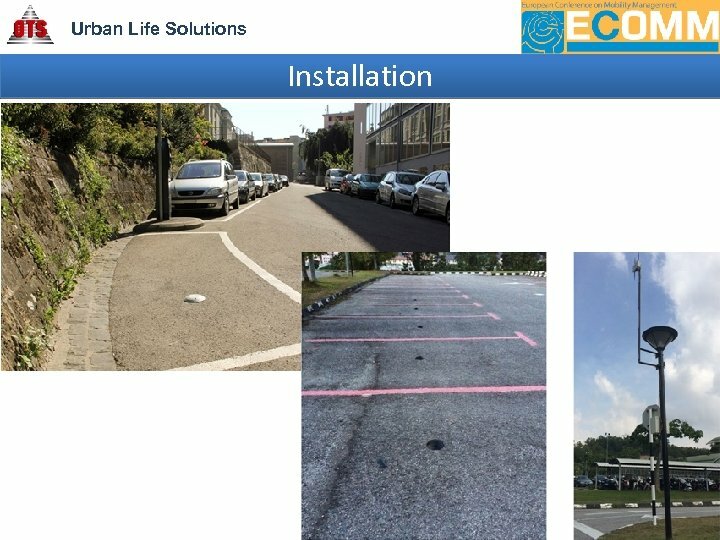 Signal Analysis 3. 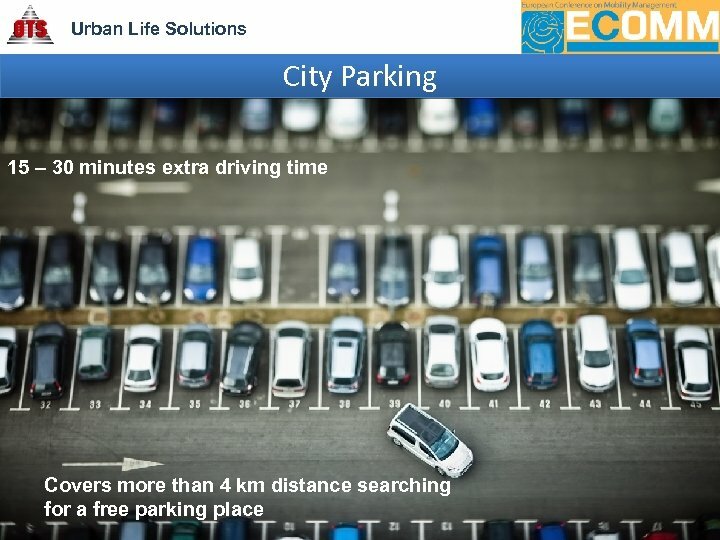 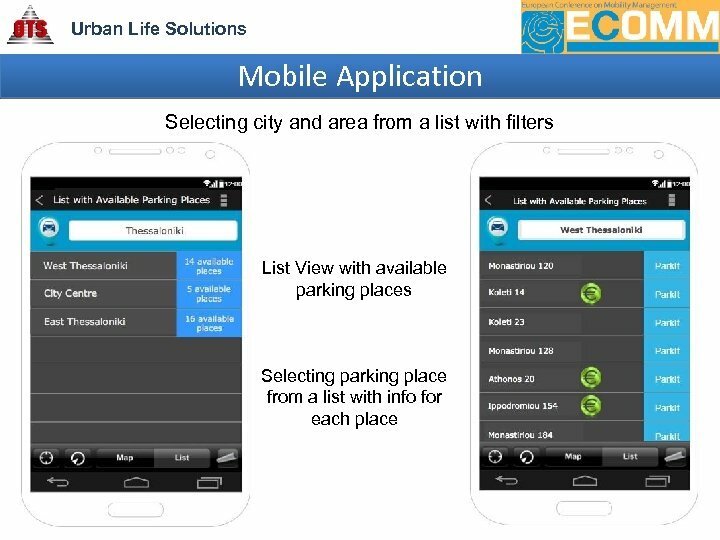 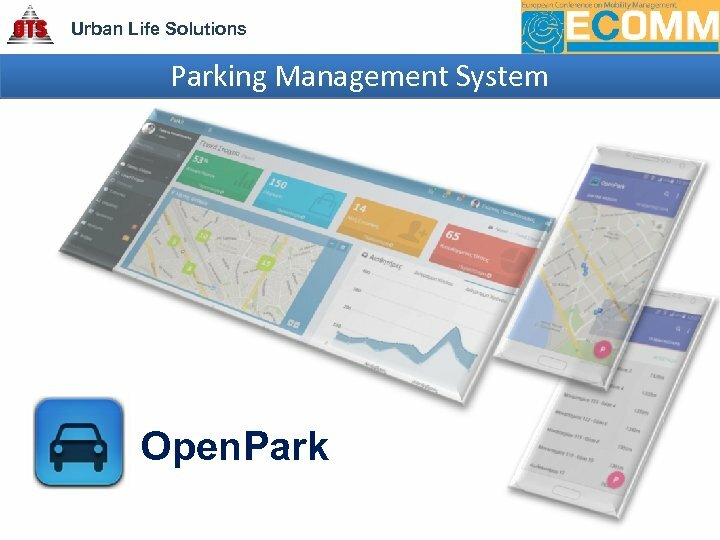 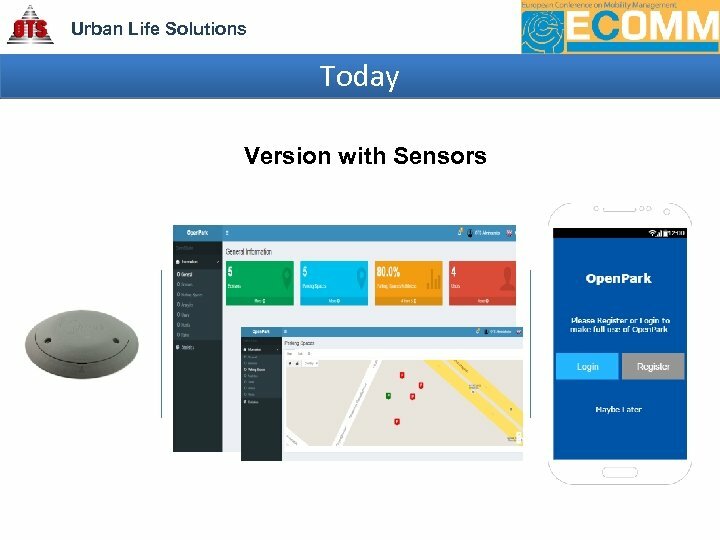 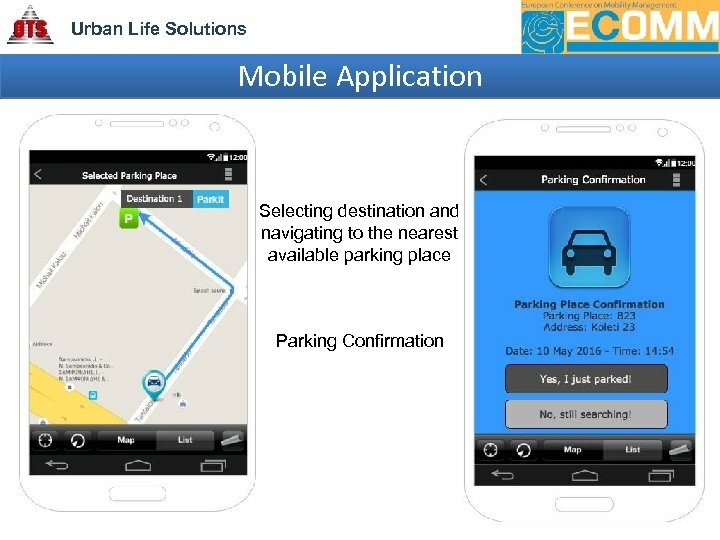 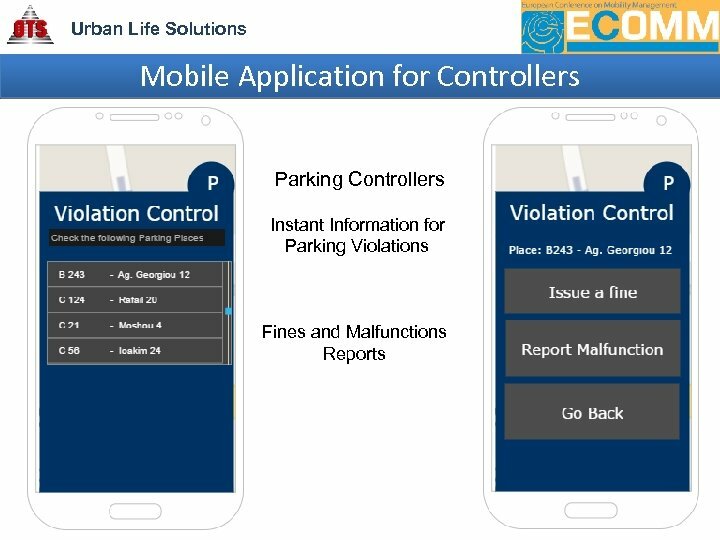 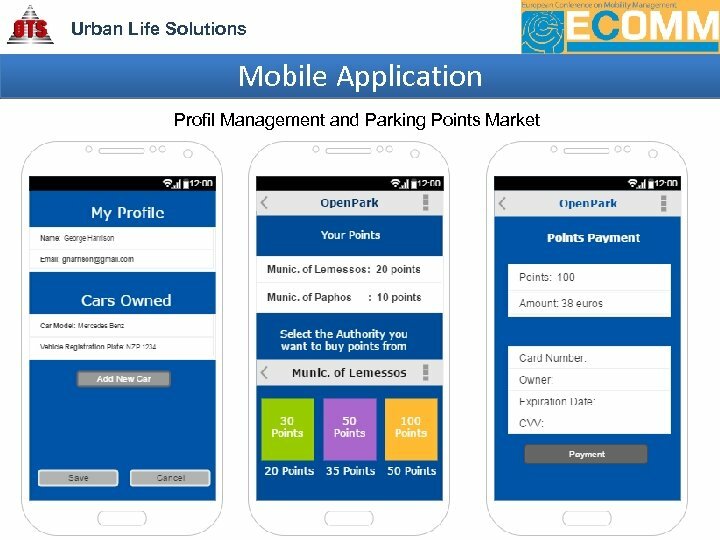 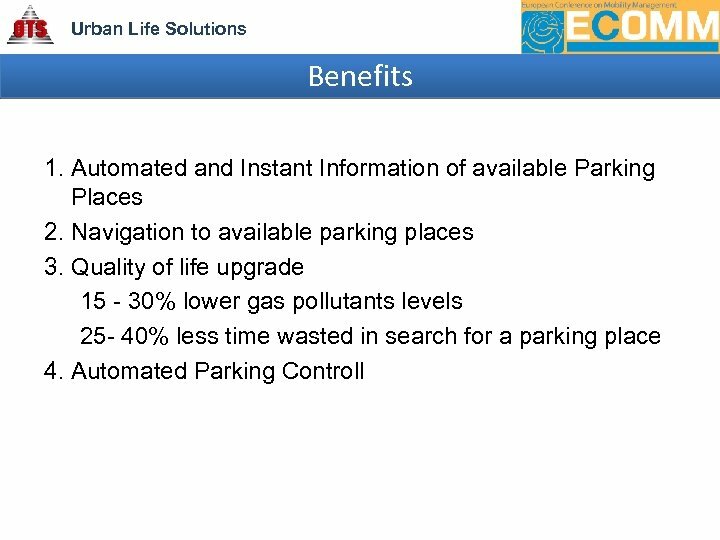 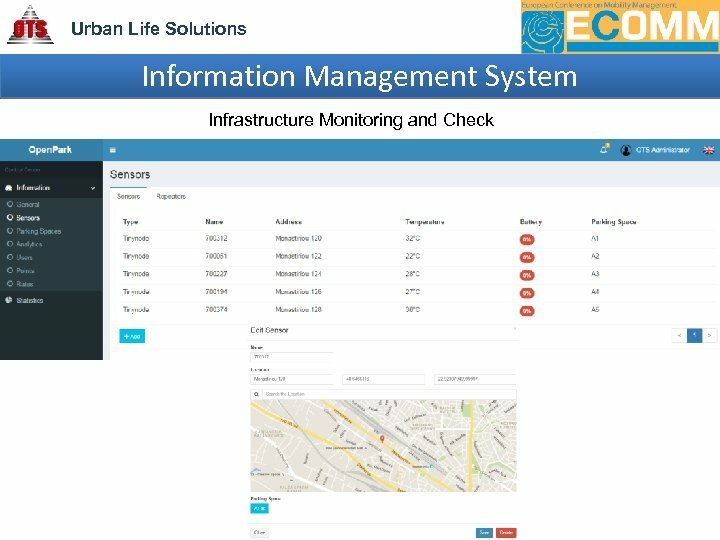 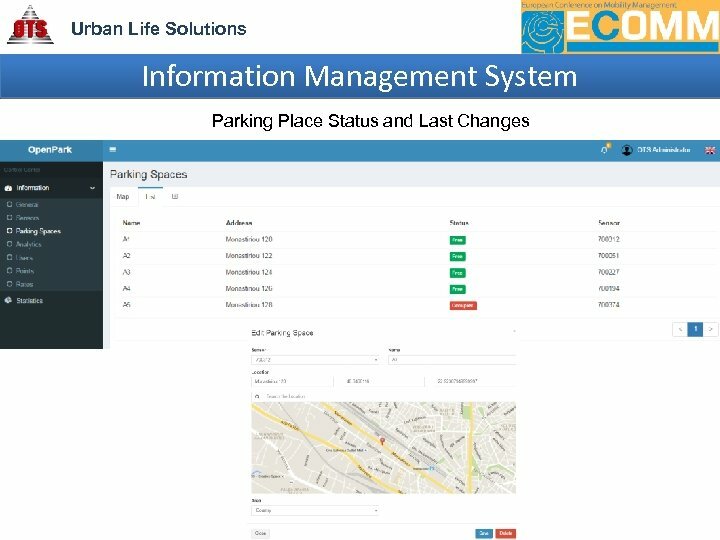 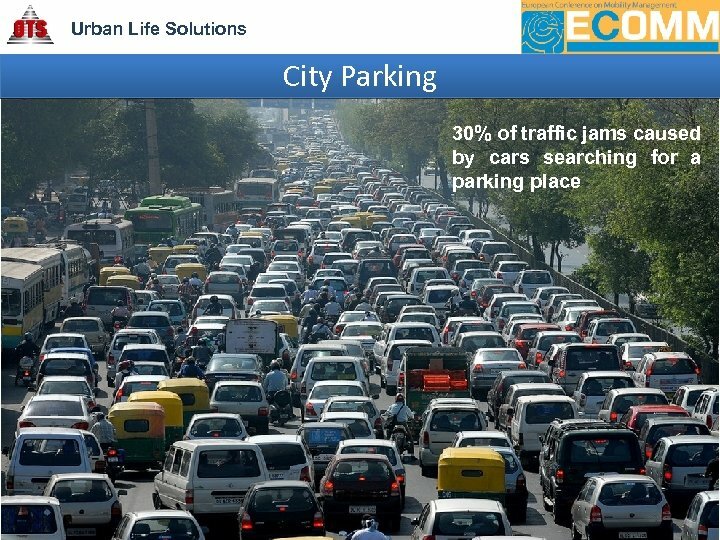 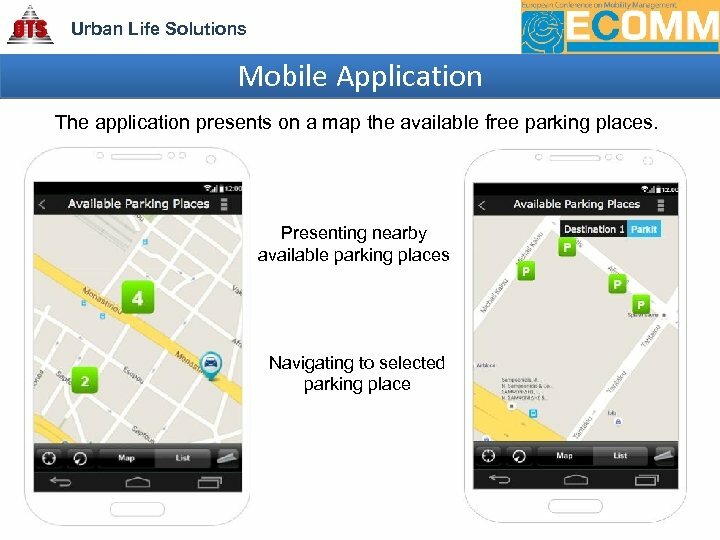 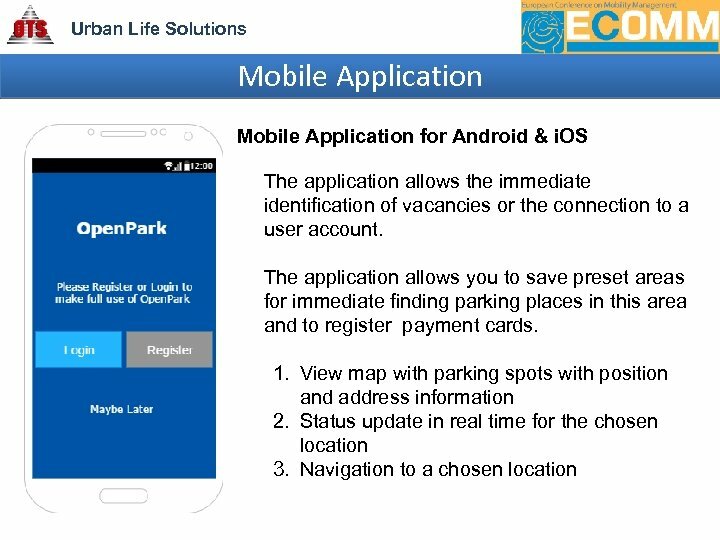 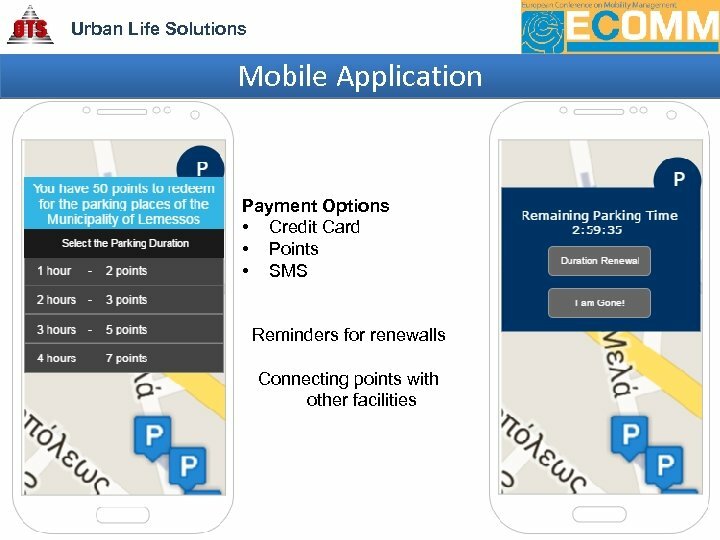 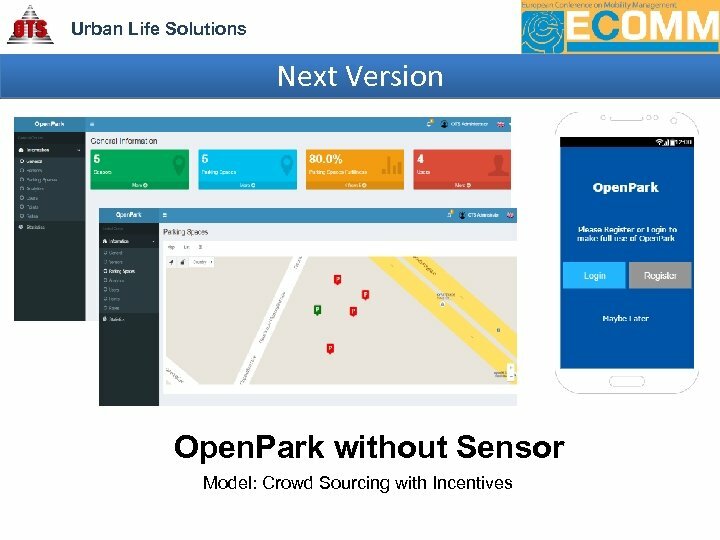 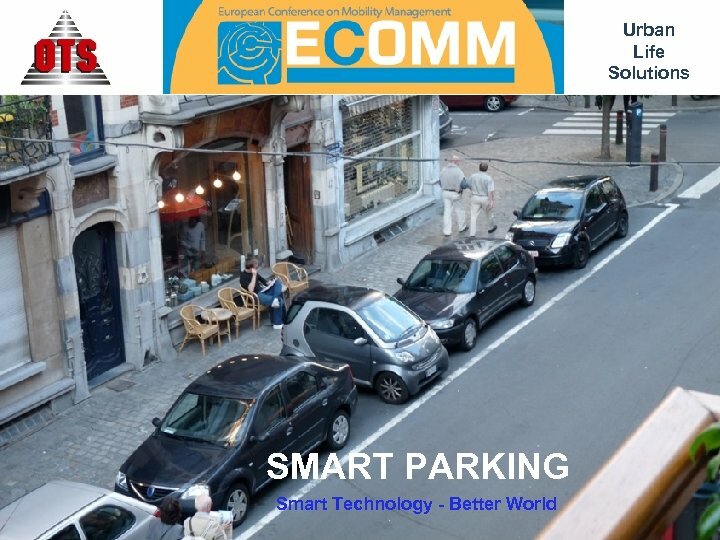 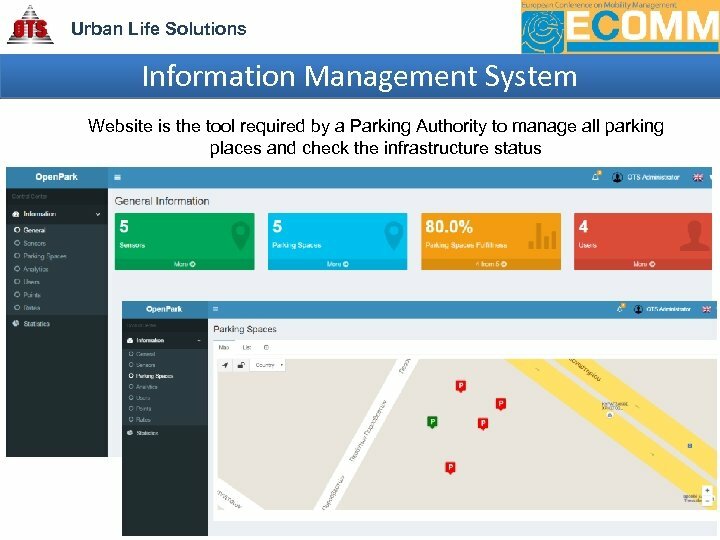 Parking Place Status Presentation (Website & Mobile Application) Middleware (Cloud Based) Collecting data, storing and processing them. 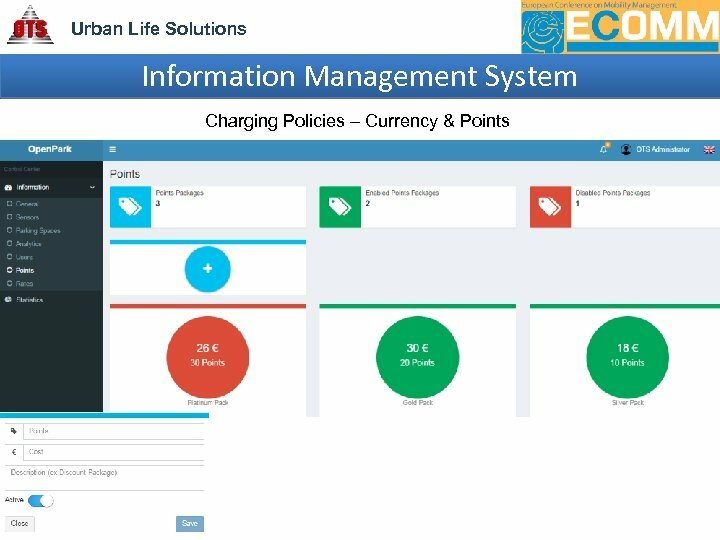 Providing services to others systems internally (api) or externally (web services).